Q) What does Alandro Plastic Resources LLC do? A) APR is a full service recycler and custom plastic compounder located in Texas. Our products range from plastics, metals, electronics, and cardboard. Q) Do you buy regrinds for your compounding process? A) Yes, we source material based on the current programs our extruding lines are running. Material must meet program specs and be free of foreign contaminations. Q) What are your services? A) APR is committed to providing quality recycling services to our customers. We provide purchasing, collection, processing, compounding and distribution of recycled commodities. Q) What materials do you recycle? A) While our specialty is plastic processing, we do handle metals, paper, and electronics to assist our suppliers with a 1 stop solution to all of their recycling needs. Q) What are the processes in recycling? Q) How do I become a customer? A) If you are a manufacturer or a recyclables commodities trader and you believe that you have a saleable amount of recyclable waste, you can send us a quick email at info@alandro.net to determine the value and provide you with a solid offer. We need detailed information and pictures to provide you with a 24 hour response. A) Our standard payment terms are Net 30. Other payment terms are possible based on individual cases where discounts or other incentives apply. 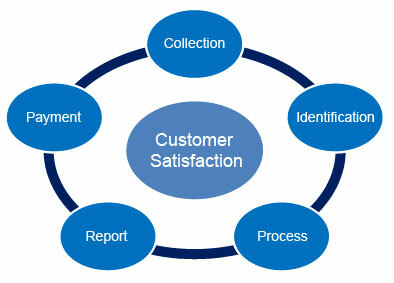 We review all material prior to payment to assure the quality is as represented by the sample provided. Q) What materials don’t you handle? A) Hazardous waste, alkaline batteries, chemicals, among others, we only handle solid and recyclable waste. Q) Do you handle other things no listed on the website? A) Yes, there are items such as solder dross or other alloys and resins that were not listed that we also handle. Give us the opportunity to review the materials you have and we can provide you with a quote within 24 hours.